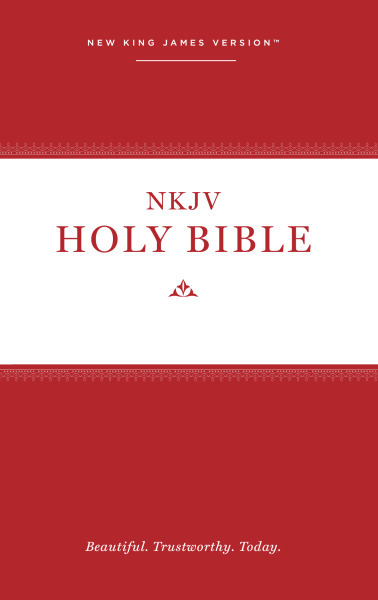 The New King James Version (NKJV) modernizes the expression of the King James Version published in 1611 by King James I of England (also known as the Authorized Version) while remaining true to the original Greek and Hebrew texts and keeping its literary mastery. Biblical scholars consulted a range of church leaders to keep communal worship, Christ-centered learning, and individual devotion in mind while accurately translating this version. Just as the 1611 KJV sought to honor the authority and the precision of the original Greek and Hebrew, this NKJV (Thomas Nelson Inc, 1982) deliberately stays clear of paraphrase in bringing you God’s word.